From household personal care brands to medical devices and workplace solutions, Kimberly-Clark makes the essentials for a better life in more than 150 countries globally. 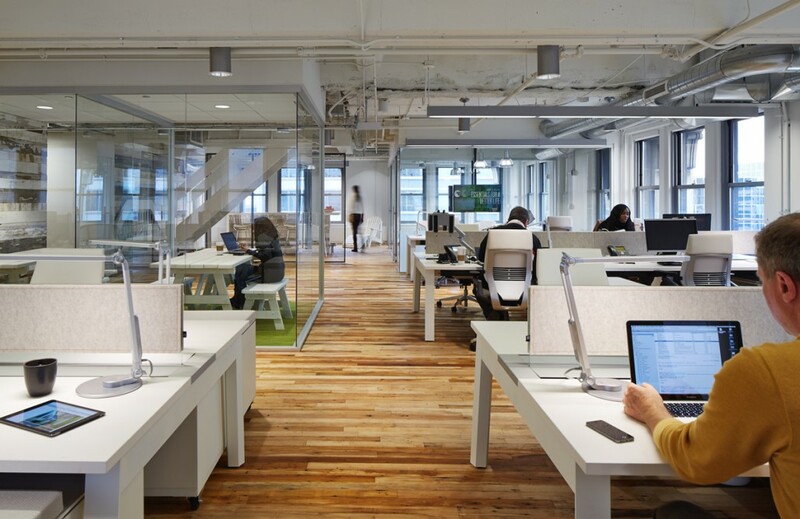 The Global Marketing organization at Kimberly-Clark chose to make their home on the top floors of Chicago’s Civic Opera Building on North Wacker. The central location, amazing views, character and history of the Lyric Opera building brought them to this space. 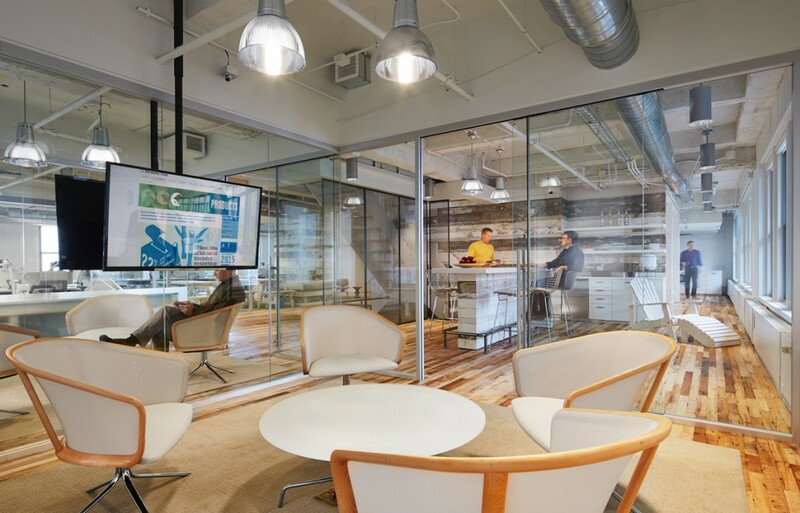 Kimberly-Clark selected Potter Lawson to create a space that would support their collaborative culture, while allowing employees private work space. 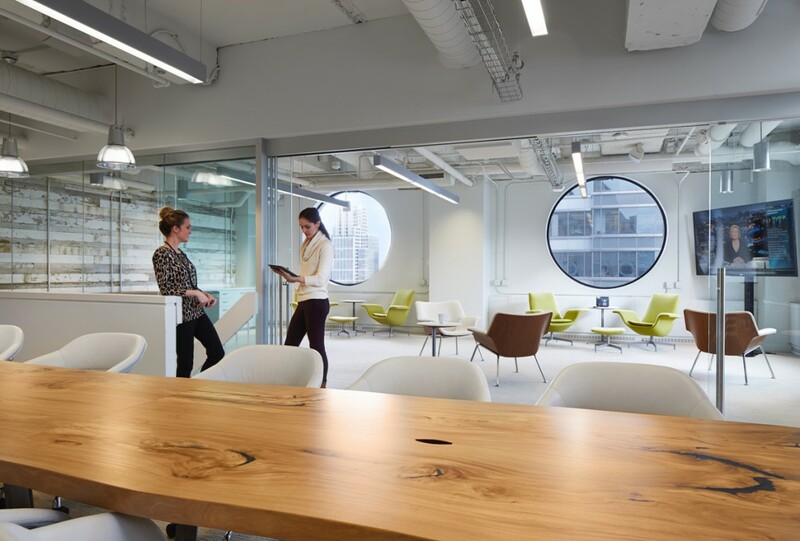 They also wanted multiple types of space for small group meetings and video conferencing, as well as space for larger groups of up to 35 people for on-site training and events. Since the footprint for the space was on two floors (totaling 6,500 square feet), the design needed to provide flexibility. The existing space was wrapped on 3 sides with windows, but lacked an open feel. The client loved the raw and unfinished vibe of the existing space and didn’t want to lose that feeling. The driving design concept was to allow for views to the exterior from all spaces, and to create a light and airy space. To create the open and airy feel, we selected demountable glass partitions for the walls in conference spaces; while on the penthouse floor, a telescoping glass wall allows the room to fully open while maintaining the views of the Chicago skyline. 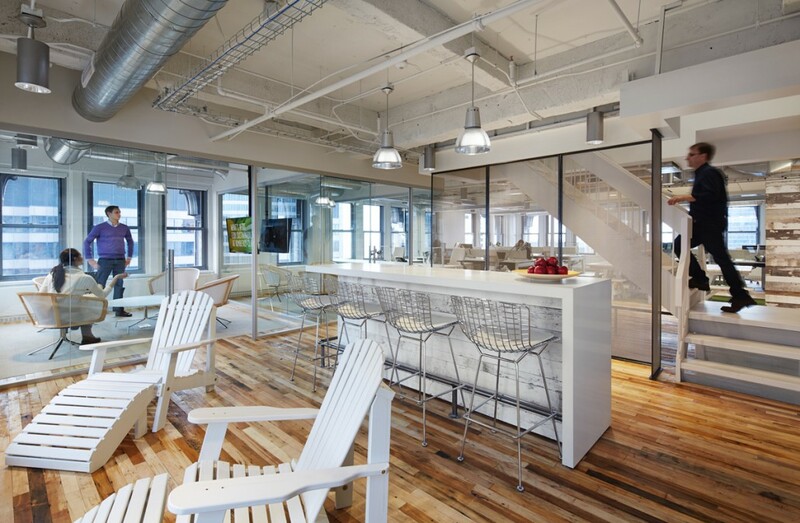 The reclaimed maple floors and barn wood siding warms the nearly all white space, while the furniture supports the open concept via benching workstations with mobile files, so staff can choose where they work each day. 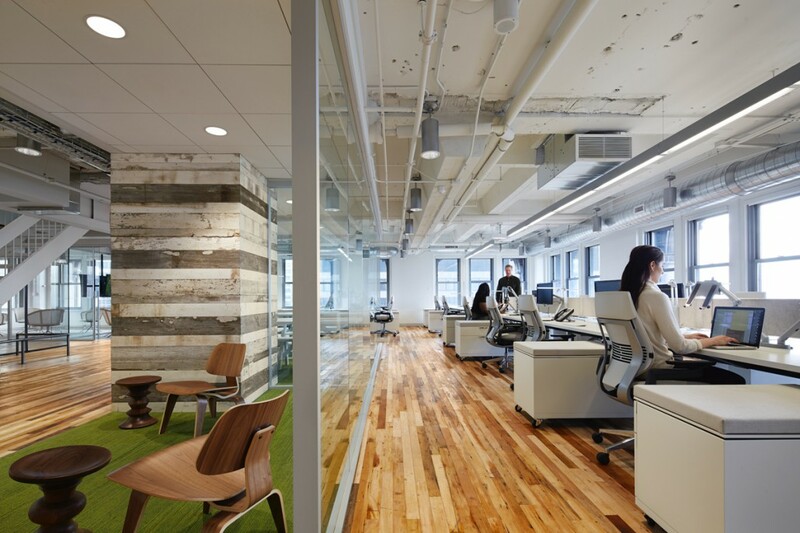 Potter Lawson teamed with Eastlake Studio of Chicago for technical coordination and local implementation.